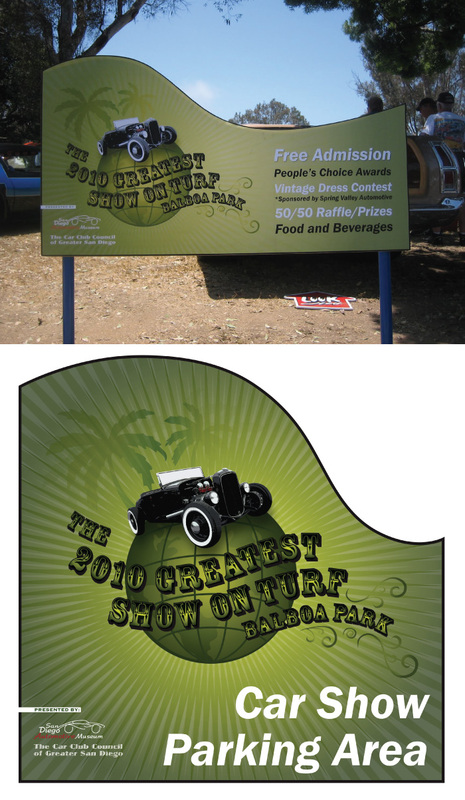 The Auto Museum holds an anual event called the Greatest Show on Turf which features all kinds of local cars and trucks. This year I was assigned to create all the signage and marketing material for the show. Using the same basic graphic across several platforms including t-shirts. 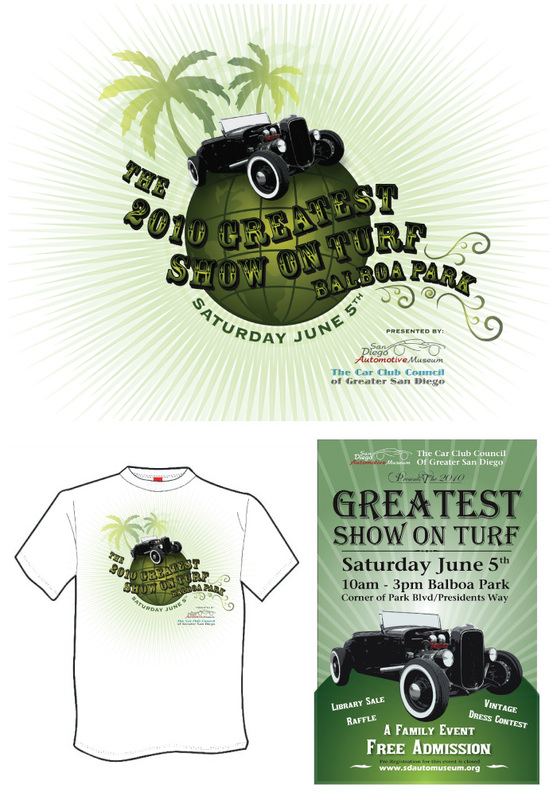 I used the theme of the show (cars parked on grass) as the theme for the marketing with an image of a hotrod parked on a overly green Earth. 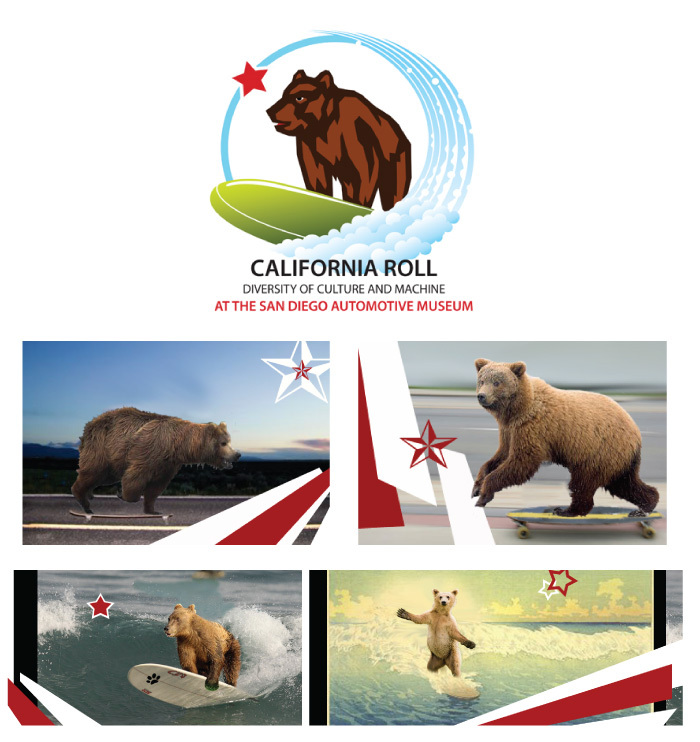 To illustrate the diversity of California's car culture, I was aksed to create some mock-ups featuring the bear from the California flag and to incorporate some elements of the flag in the design. The logo was intended to reference California's beach culture and to also resemble a sushi roll. The rest of the images were mock-ups I planned to illustrate and would have been featured on all the marketing and signage however the exhbition was put on hold due to a shortage of vechicles which fit the criteria for the show. . I created several designs for a local motorcycle clothing distrutor of unique bandanas. This one was selected as something the target market would respond to. The design was loosely based off an old newspaper clipping of a grim reaper waiting by a gravestone with a list of names in his hands. 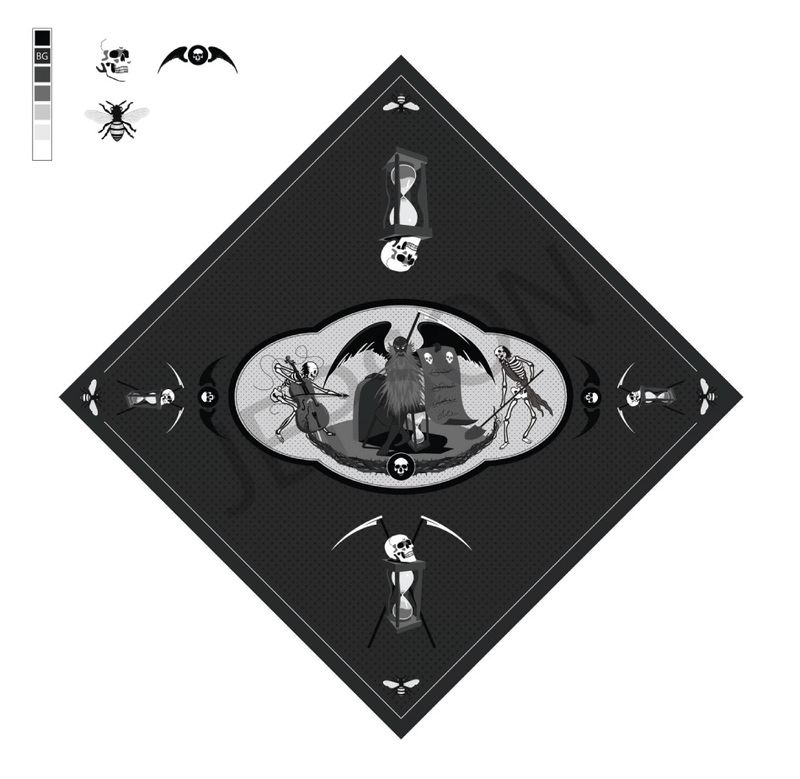 I incorporated the hourglass and skull imagery to highlight the theme and included some other minor elements to beef up the design. Because it is a bandana, the design had to be able to work in a variety of ways, inlduing being folded in half. A fter being approached by a local secuirty specalist, I created a simple but bold design for the logo which incorporated the owner's initials. 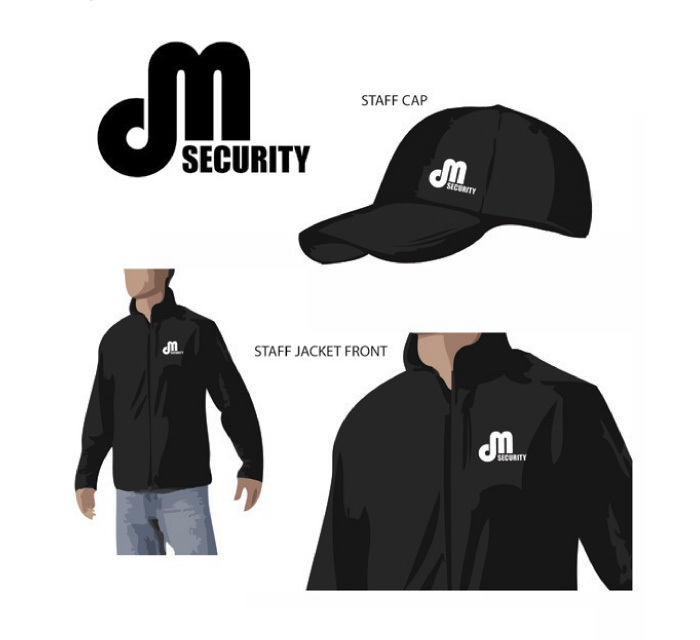 The logo was printed on a matching cap and jacket uniform. The above images illustrate the development of a logo after the initial concept has been chosen. In this case, the client wanted to use various elements of each development for the final logo which was designed specifically for a web header. 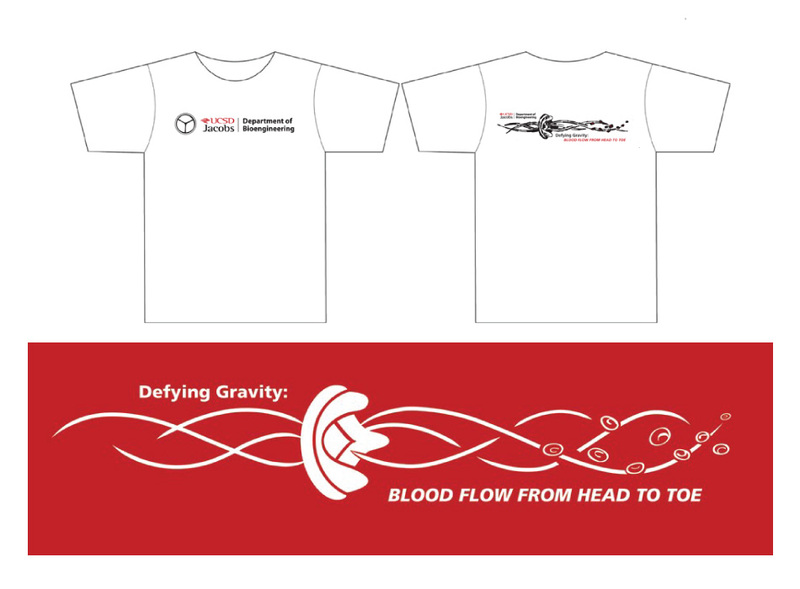 The UCSD Bio Engineering Department asked me to create a simple t-shirt design to be used during exhibit of a special heart valve. To communicate the idea of blood cells moving through the valve, I used flowing lines with just a few blood cells. 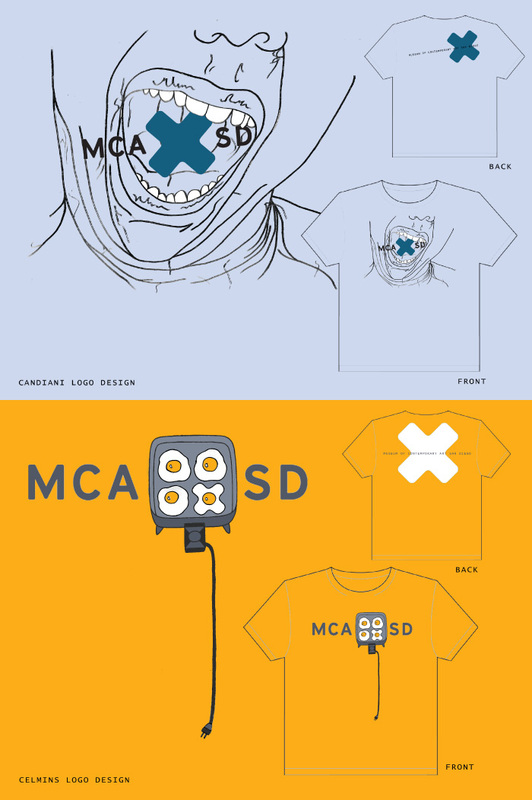 To highlight the permanent collection of the Museum of Contemporary Art San Diego, I created these t-shirt designs featuring some of the artist's work but with a twist incorporating the 'X' logo. This is a t-shirt design for the website theadless.com which I submitted. 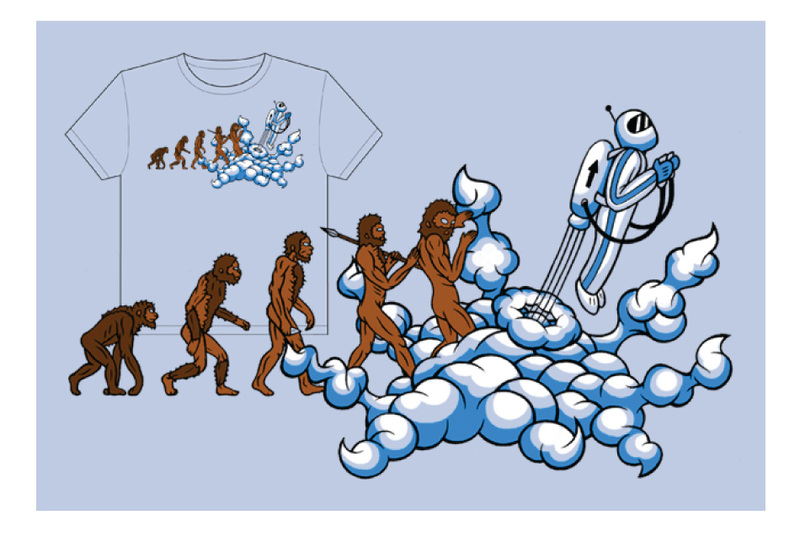 The idea is to kind of mock the evolution image with a not so subtle transition from man to the man of the future. The design could have only five colors including black and white. Created for a local clothing company start-up. The logo was based off a rough sketch by the owner and the colors fit her color scheme. The logo is also intended to be a stiched patch on jeans.